I do a little gardening. Not much. My room for growing is small. Of course this being SoCal most plants don’t quite understand the limited space concept. That’s what happened to a few bushes planted when we got here. Over time as they flourished their top shaded their bottom. Low growth stopped. The bushes became leggy. It’s not a good look. Cutting back is a great leap of faith, because you’re left with what’s in this picture from three weeks ago. Seriously sad. Today my bushes are on the comeback trail and their leaves are a whole lot closer to the ground. Because the original roots weren’t cut back they’re growing like crazy. It always hurts to cut, but it’s never failed me. Every plant I’ve ever cut has come back stronger. I have proof of that. I cut back my azalea bush because it was going crazy. Now it is the best one on our street. I shared it but I do not think you received the new picture! Looks great, But will that work here in Connecticut with our shorter growing season ?? Forget about plants you can’t eat. Grow herbs and things you can eat. Tomatoes,avocados, etc. 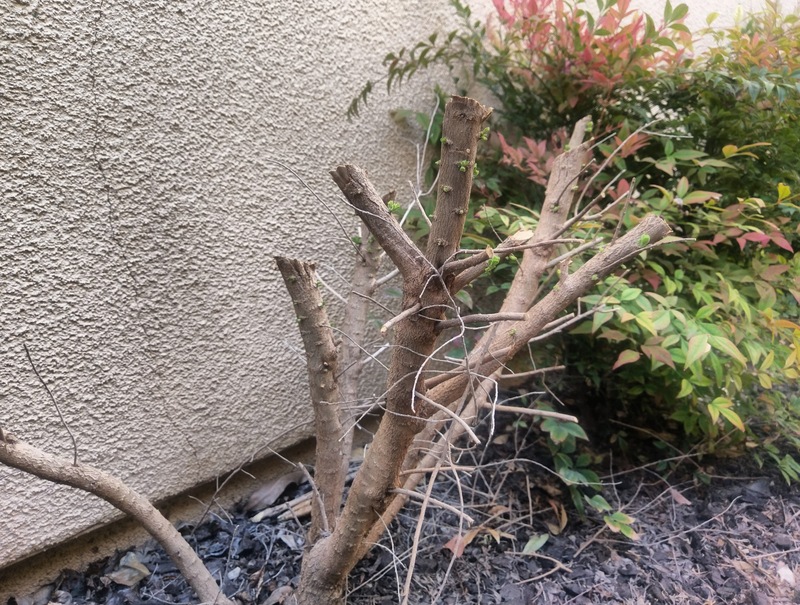 Several years ago, I accidentally cut back a plant I didn’t recognize–it turned out to be the Hydrangea my grandson had given me a year before. when I realized what I had done, I felt dumb as I have 2 other hydrangea plants that are huge. This one was of a sl. different variety. 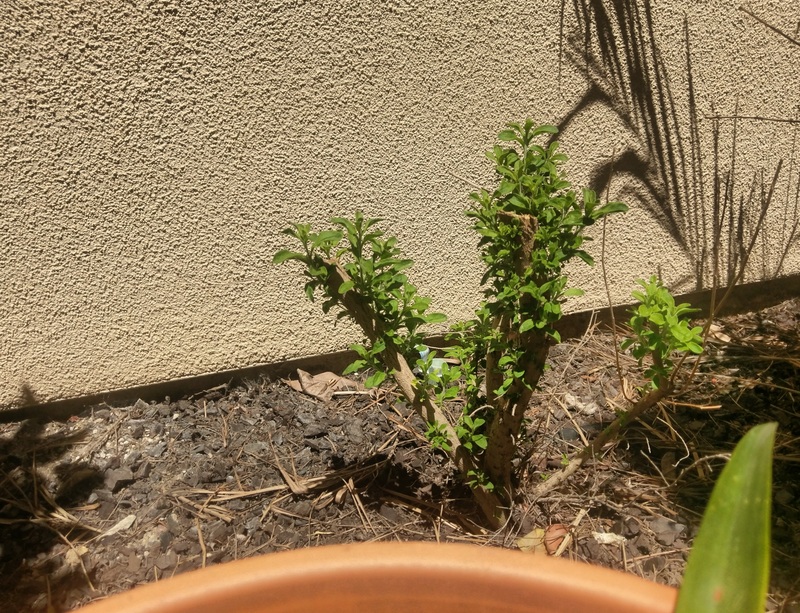 Then to my surprise, mid summer, the plant came back–as you say–stronger than ever. With these plants it is difficult to know what to cut, as the new blossoms come out on the old growth. After the winter, how does one know what’s old and what’s to bloom?? Live and learn? ?